Founded in New York City in 1871, the Salmagundi Club is one of the oldest art organizations in the United States, and offers programs including art classes, exhibitions, painting demonstrations, and art auctions for members and the general public. The club owns a collection of over 1,500 works of art, and its membership has included important American artists such as Thomas Moran, William Merritt Chase, Louis Comfort Tiffany, N.C. Wyeth, and Childe Hassam. Building on this legacy, the club serves as a center for the resurgence of representational art in America. Listen to our podcast interview with Tim Newton, the Salmagundi Club's board chairman and a member of CHF advisory board. Artwork Archive is a cloud-based inventory- and collection-tracking system that also offers artists an online showcase for their work. The company's site is also useful for collectors, helping them to manage their art, safeguard their records for insurance and tax purposes, and share their collections online, either privately or publicly. CHF has partnered with Artwork Archive to offer our audience a discount on subscriptions. To receive a 20% discount for life, click here. Listen to our podcast interview with John Feustel, Artwork Archive's co-founder. The art industry's news leader since 1977, Art Business News reports the latest news and emerging trends driving the fine art market. The most requested magazine in its field, it is read by industry professionals around the world, including artists, gallerists, collectors, and art aficionados. Redwood Media Group (RMG) is one of the premier contemporary art-show producers in the US. The company is passionate about helping publishers, gallery owners, and artists expand their market reach and grow their business through mentoring, fine art shows, publications, marketing, and more. Over the decades, RMG has hosted tens of thousands of people at Artexpo New York, Art San Diego, Art Santa Fe, Spectrum Miami, Red Dot Miami, [SOLO], and [FOTO SOLO], and launched the careers of countless artists. POBA is a nonprofit online arts hub and resource center. The organization's mission is to celebrate, showcase, promote, and preserve the creative works of exceptional 20th and 21st century artists--known and unknown--who died without recognition of the full measure of their talents or creative legacies, regardless of genre or medium. 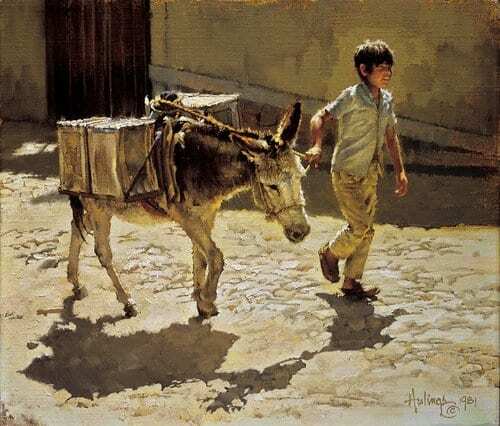 POBA also provides assistance to the families and estates of such artists, and assists living artists and collectors in managing their collections for future preservation, viewing, and value. Listen to our podcast interview with Jennifer Cohen, POBA's co-managing director. 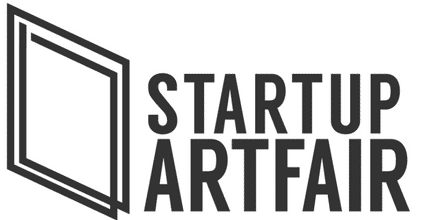 stARTup Art Fair offers independent artists and art enthusiasts with direct access to the art world, fostering new relationships and creating a new exhibition platform for thought-provoking contemporary artwork in three major cities across the country: San Francisco, Los Angeles, and Chicago. Read about past fairs and testimonials from participating artists here. Listen to our podcast interview with Ray Beldner, stARTup Art Fair's founder. Windows to the Divine is a nonprofit organization that promotes patronage of the arts and philanthropy in tandem. The Denver-based group hosts art exhibitions and offers educational programs designed to inspire people to become art collectors. Proceeds from these events support the work of the Colorado Dominican Vocation Foundation, a Catholic religious order that serves the elderly and the homeless. Listen to our podcast interview with Shannon Robinson, curator and chairperson of Windows to the Divine. Based in Florida, the Arts Business Institute (ABI) is a nonprofit organization that provides direct business consultations and specialized technical assistance to creative entrepreneurs around the country. ABI partners with a range of organizations--including art nonprofits, business-development centers, and art-education groups--to offer business workshops and one-on-one support to artists and craft-makers who are interested in growing their businesses. Listen to our podcast interview with Carolyn Edlund, ABI's executive director. Recognized as a top-ten art blog by Art Business News in 2013, Artsy Shark publishes artist portfolio features, cutting-edge articles on marketing and selling art, online courses for creative entrepreneurs, and the biggest directory of places to sell art online. Services for artists include personalized consultations, website reviews, and artist-statement writing. Listen to our podcast interview with Carolyn Edlund, Artsy Shark founder and CHF sales & event director. Bridges to Santa Fe is dedicated to local economic growth in a city that's filled with visual artists, where the success of these entrepreneurs is critical. The organization also serves nonprofit educational groups, high-tech and scientific research firms, and other entrepreneurs, offering its clients direct consultations on topics ranging from sales and marketing, to business development. Partnerships provide incredible opportunities to jointly fulfill our public missions. CHF offers jointly-sponsored events, fellowships, and broadcasts, and licenses digital programming and technology to extend the effectiveness of art and business organizations with an educational mission. CHF furthers its own mission exponentially by providing drop-in expertise, services, and content, while careful impact analysis demonstrates efficacy. CHF has multiple opportunities and packages for sponsorship that includes sponsoring local and regional events, broadcast learning episodes, digital learning content, and Fellowships. CHF works with organizations, agencies, and firms to create learning communities, hybrid educational programs, licensed content, virtual and live events with data-demonstrated effectiveness and expertise.